Hawk 75A-7 flown by Colonel Boxman of the 1.Vliegtuigafdeling, KNIL Luchtvaartafdeling, Madioen, December 1941. "Модель 75B" с двигателем XR-1820-39. Весна 1936г. Curtiss's prototype modified as the Model 75B with Wright XR-1820-39 Cyclone engine, strengthened cockpit canopy and scalloped aft decking for improved rear view. 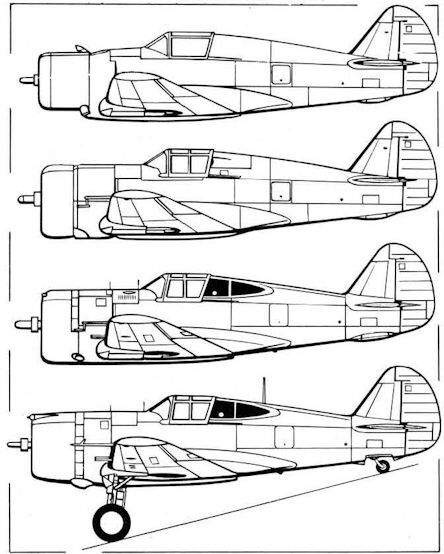 The first Curtiss Model 75 to carry USAAC markings was this Y1P-36 (37-068) which was delivered to Wright Field in March 1937. It was one of three purchased for service trials. 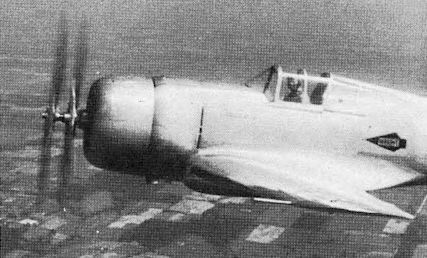 A P-36A of the 79th Pursuit Squadron of the 20th Pursuit Group, the first USAAC Group to receive the Curtiss fighter, at Barksdale Field. The company-owned demonstrator NX22028, previously fitted with a Twin Wasp engine and turbo-supercharger, after being re-engined with a Cyclone. 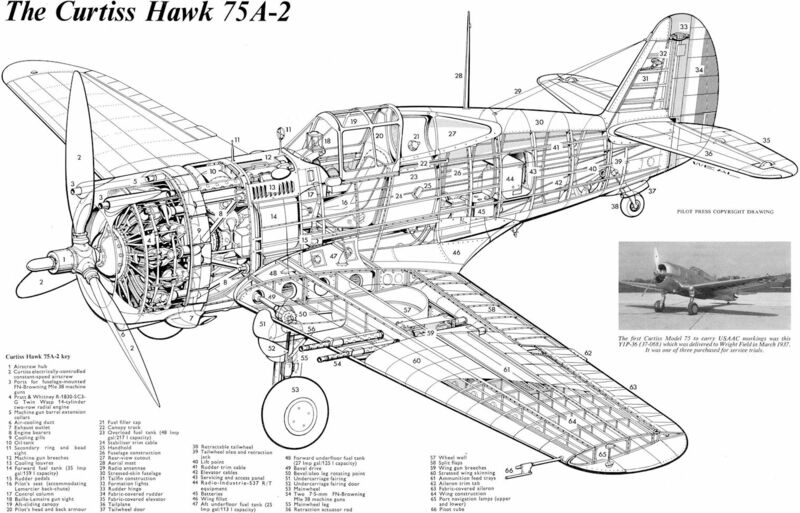 The Hawk 75R was a company-owned demonstration aircraft with a turbo-supercharger mounted beneath the nose with the intercooler beneath the wing trailing edge. 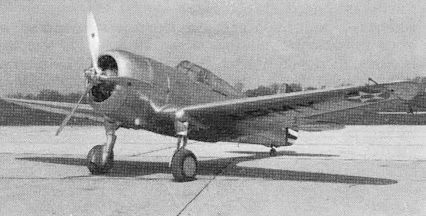 The first Y1P-36 after being fitted with two-bladed contra-props, the first such installation on a US aircraft. Один из двадцати построенных по лицензии в Аргентине H.75O. The 19th Hawk 75O built in Argentina by the Fabrica Militar and delivered to the Army Aviation Command in 1941. 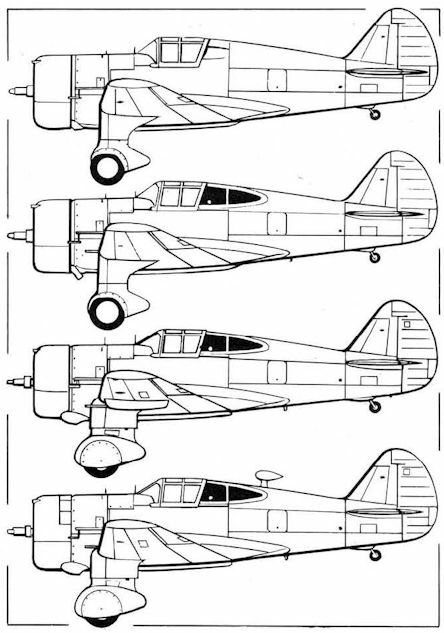 Model 75 prototype; Model 75B; Hawk 75A-4; Hawk 75A-3. Hawk 75 initial prototype; Hawk 75M; Hawk 75N, Hawk 75O.